Andy Warhol was an instrumental figure in the development of American Pop Art, which used images from mass media and materials from commercial production as inspiration for a new style of art. 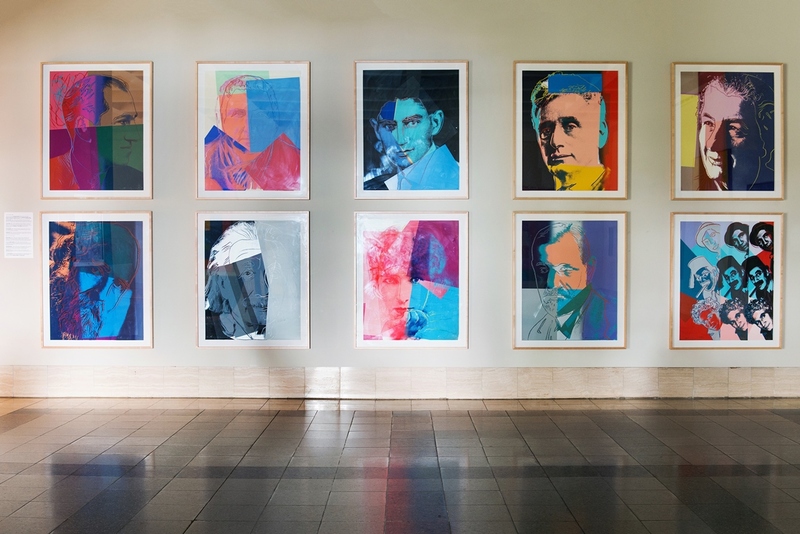 However, Warhol turned away from contemporary culture in the series Ten Portraits of Jews of the Twentieth Century. The series highlights Jewish leaders in the areas of literature, film, philosophy, music, medicine, law, and science, including French actress Sarah Bernhardt (1844 – 1923), the first Jewish justice of the United States Supreme Court Louis Brandeis (1856 – 1941), physicist Albert Einstein (1897 – 1955), psychoanalyst Sigmund Freud (1856 – 1939), and comedians, the Marx Brothers.